If you follow me on Instagram or Twitter, you'd know that I've been talking about posting more on my blog about things that aren't reviews and I'm following through! I make no promises about this not sucking in a spectacular fashion, but I do promise you that I will try my best to entertain you with my musings. To start the new year off, I want to present to you, a book list of 10 of my most anticipated upcoming releases of 2019. Author websites and Goodreads links only this time since my personal life and my health are both rather abysmal at the moment, sorry. As always, a Shelly Laurenston book is at the top of my Auto Purchase List every time one comes out. I was lucky enough to receive a sneak peek of In a Badger Way, the second book of the Honey Badger Chronicles, during the holidays from the publishers (Kensington Books) via NetGalley and I was only left wanting more of a very good thing. I went into my excerpt without reading the synopsis, gasp all you want, but that's me. I trust Shelly Laurenston to always provide me an entertaining read and she did not disappoint. In her newest addition to the Honey Badger Chronicles, Ms Laurenston pairs adorkable giant panda shifter Shen Li with the youngest MacKilligan sister, Stevie, who is a highly unstable anxiety-ridden honey badger hybrid shifter and promises to deliver yet another amazing story of love and hijinks aplenty. I, personally, have March 26th marked on my planner, both of my Google Calendars, and my wall calendar for In a Badger Way's release day. I can't wait to see what happens with Shen and Stevie! I was lucky enough to be given an ARC of Wicked Saints and I'm loving this story. I'll have a review for y'all later in the year, but suffice it to say, this book is magical in more ways than one! And do you see that cover? That cover is beautiful! Author Emily A. Duncan takes us on a journey that has an edge-of-your-seat level of anticipation and nailbiting moments I won't talk about yet. You'll have to check back later for my review for that. 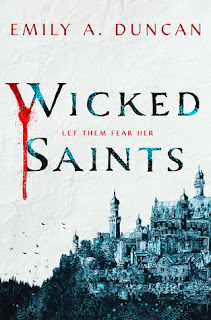 In the meantime, Wicked Saints is up for pre-orders and will be available on April 2nd. I've been frothing at the mouth over Four Dead Queens for literal months, y'all. 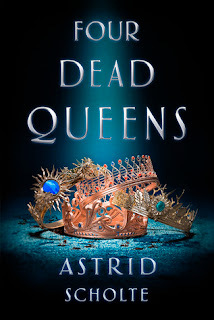 Astrid Scholte presents an amazing debut novel that takes us to the queendom of Quadara which is divided into quadrants ruled over by four queens. Keralie is a resident of what I gather to be the Capitol city, Concord, the city at the centre of the four quadrants and a pickpocket. After she 'intercepts' a communique plotting the deaths of the queens, Keralie embarks on a journey to discover all of the details about the plot, supposedly in hopes of earning some cash. But really, that can't be the whole story and I have to know more. Four Dead Queens will be released into the world on February 26th. I'm so excited for Shatter the Sky, y'all. Rebecca Kim Wells gives us everything in Shatter the Sky. Girls loving girls (to clarify, we have a bisexual lead, folks!! ), dragons, rebellion, magick, and a lost prince. Maren sets out to save her girlfriend, Kaia, from forced conscription to the emperor's psychic forces, the Aurati. Part of Maren's plan includes kidnapping one of the Emperor's precious dragons and storming the Aurati stronghold. Um, yes! It's beautiful and gay and dragon-y. 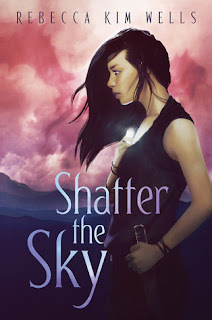 You can get your hands on Shatter the Sky on my baby sister's birthday, July 30th! Okay, so I first heard of The Deceivers by Kristen Simmons on Twitter after one reviewer claimed Ms Simmons wrote a mixed-race lead character for diversity points (seriously, get to know your authors, folks). So this made me go look at the book and I need this book, like, yesterday. Ms Simmons takes the Norse mythos of valkyries and transforms it into a YA read centred around a teenaged con artist named Brynn Hilder who is recruited to attend Vale Hall, an exclusive academy with a small student body and a curriculum focused on honing their con game. 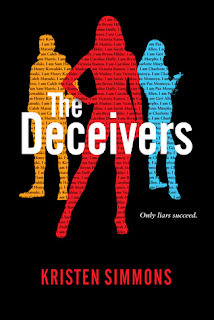 You'll be able to buy The Deceivers on February 5th! What can I say? I'm a huge fan of world mythology. 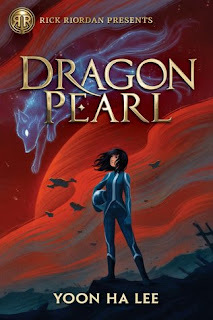 I've got Dragon Pearl's release date circled in my planner and I'm more than ready to read Yoon Ha Lee's YA space opera. Mr Lee touches upon kumiho mythos in the form of Min and her relatives who are fox spirits on the planet, Jinju. Min spends her time waiting for the day she can follow her brother, Jun, off the planet into service with the Space Forces. But when word comes that Jun has gone AWOL to search for a mystical ship, Min knows something's wrong and she runs away to find her brother and clear his name. 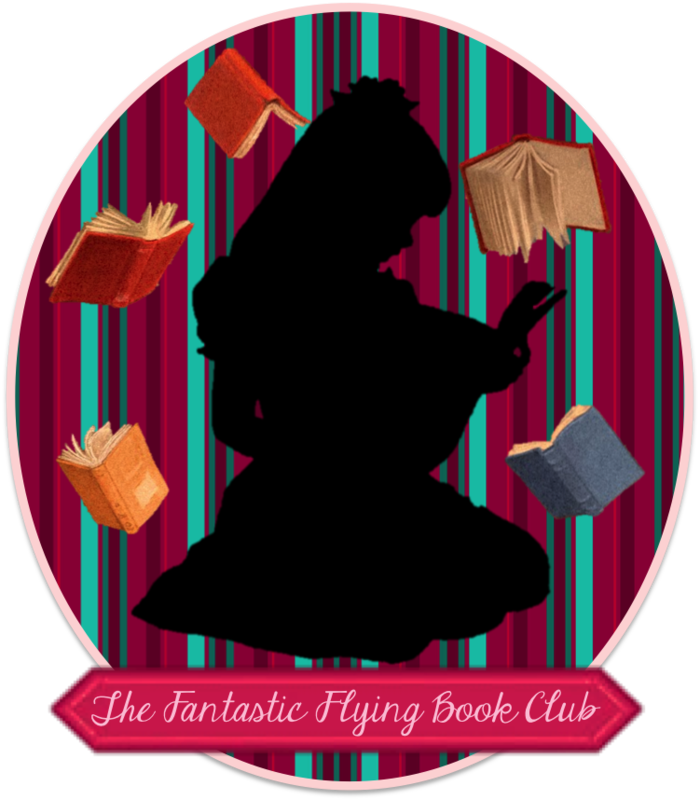 Along her journey, she will meet a bevy of colourful characters, encounter dangers, subterfuge, and sabotage, and she will need to use more fox magic than she has ever used before. Dragon Pearl will be available for mass consumption on January 15th. 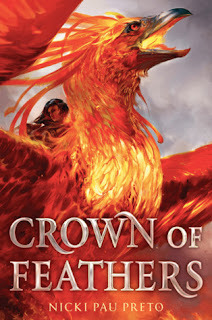 Crown of Feathers is the debut novel of Nicki Pau Preto and just look at that cover. I'm in love with the concept of Phoenix Riders that Ms Preto presents in Crown of Feathers, most fantasy novels lean towards dragons or griffins or unicorns when it comes to riding mythical creatures. Not that I'm tired of that, because I'm totally here for them too. Veronyka disguises herself as a boy after being betrayed by her overcontrolling sister and runs off to find the legendary Riders. The Phoenix Riders built the empire and when the empire learns that the Riders still exist, all bets are off and it's open season on the Phoenix Riders. And Veronyka's sister decides to pop up to stir up trouble as well! I'm cheering for the Phoenix Riders when I read Crown of Feathers on February 12th. 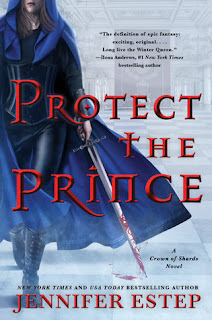 Protect the Prince is the second in the Crown of Shards trilogy and Jennifer Estep returns to the kingdom of Bellona and Queen Evie as she takes her place on the throne. She's left with one heck of a mess after the hullabaloo in Kill the Queen and she has the 'honour' of cleaning it all up. I've been needing to read this book since October 13th when I read Kill the Queen in mere hours. My review for Kill the Queen is forthcoming because I loved it!!!! Since this is a sequel and I can't guarantee you have read Kill the Queen, you shan't be getting too much info about Protect the Prince. But this is one of my highly anticipated 2019 releases and it had to be on this list. For those of you that have read Kill the Queen, Protect the Prince will be on shelves on July 2nd. 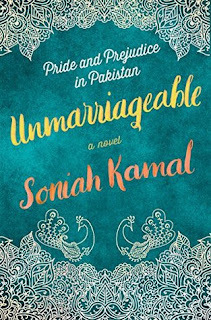 Call me a sucker for Pride and Prejudice, but I cannot wait to read Unmarriageable by Soniah Kamal. It's literally marketed as 'Pride and Prejudice in Pakistan' and I am totally here for this retelling. It gives the reader the opportunity to learn about another culture, something I love doing, and to partake in another remix of Jane Austen's classic, Pride and Prejudice. Alys Binat plays opposite Valentine Darsee as Ms Kamal's Elizabeth Bennet and Mr Darcy in this 21st century Pakistani retelling. I look forward to seeing what Ms Kamal has achieved with her story. Unmarriageable will be on sale on January 15th. 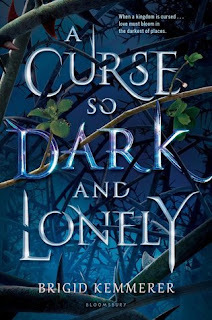 Another Beauty and the Beast retelling, A Curse So Dark and Lovely, author Brigid Kemmerer gives us Harper, our 'Belle' who has cerebral palsy and Rehn, heir to Emberfall. I went a bit rabid when I read the synopsis and saw that Harper has cerebral palsy, because when my brother and I were kids, we didn't have any books that had a character like my brother and now one of his favourite fairy tales has a retelling with a CP main character. I teared up. And my mum teared up. And my grandmother teared up. And my brother asked if it was going to be a movie (he only reads Tom Clancy, sorry). So, on January 29th, we will be buying A Curse So Dark and Lovely. Now, let me be perfectly clear. This is by no means, all of the books being published this year that I'm drooling over and I'll be sharing more through the year. 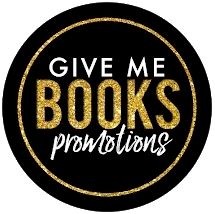 I hope you'll give these books a look and maybe add one or two to your TBR list. Now, I have to go do another breathing treatment, all my neighbours' celebratory firework gunpowder residue is killing me. Literally. I had no idea that Jennifer Estep had a new trilogy. I'm a big fan of her Black Blade and Mythos books.